I want to give the exam of National Defence Academy and I want to get the details of results so can you please help me in getting this information? Candidates must have passed or appearing in the 12th Exam from the school recognized from any board. Applicants must be of sound health and also meet the minimum criteria of Physical Standards specified by the NDA. In absence of these parameters, candidateâ€™s admission to the Academy will not be considered. The test comprises two papers. The first paper is Mathematics of maximum 300 marks and the second paper is GA (General Ability) of maximum 600 marks. The stipulated time for completing the each paper is 2hrs 30mints. Will you please tell me the complete procedure of checking the NDA Entrance exam Results?? â€¢	Go to the official website of the Union Public Service Commission. â€¢	At this page, click on the â€œexaminationâ€� and then â€œwritten test resultâ€� option. â€¢	This is the page; the NDA result will be available very soon at this page. â€¢	Stay tuned with this page. 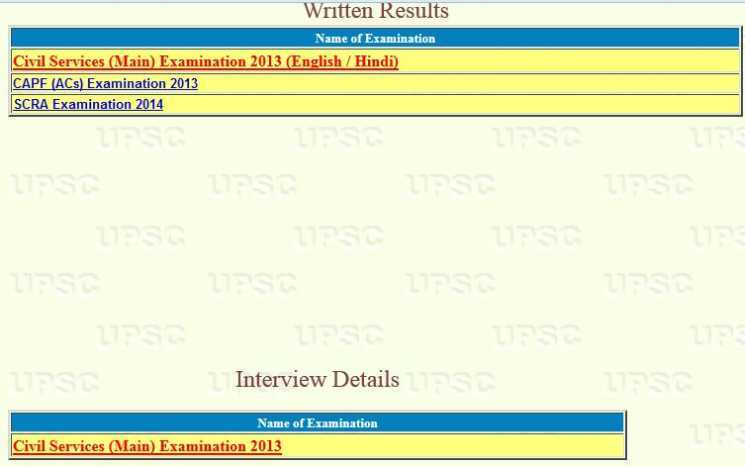 â€¢	I do have previous examination result which I am also uploading hereâ€¦â€¦â€¦..